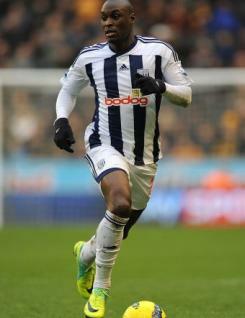 Marc-Antoine Fortune is a powerful striker who signed for West Bromwich Albion at the end of the August 2010 transfer window having previously enjoyed a very successful loan spell at The Hawthorns in 2008-09. He is able to hold up the ball to bring his colleagues into play and is effective either as a lone striker or playing alongside a partner. Marc-Antoine was something of a fringe player in 2010-11 with Peter Odemwingie being the club?s first choice up front, although he managed 14 Premier League starts. Marc-Antoine spent his formative years with Angouleme, then played for a number of clubs including Celtic before joining the Baggies.